mainly to the moaning frogs. waving candles in white cups. Poets writing tanka in English today often abandon the 5-7-5-7-7 syllabic structure—and often create impressive poems in the process! It remains a moot point, however, as to why such poems should be called tanka as opposed to free verse. It is also worth noting that these four tanka employ simple and precise language (as is best suited for tanka generally), and yet they are laced with literary devices. “Cricket” uses alliteration; “Signal” uses simile; “Lilies” uses apostrophe, repetition and rhyme; and “Bird and Bull” uses slant (or half) rhyme and alliteration. The tanka poet may use literary devices and figures of speech like any other poet. It is a mistake to think, as some do, that tanka must be devoid of literary devices. 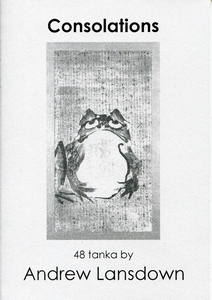 The tanka is a type of poetry, which in turn is a type of literature, and it should be treated as such.